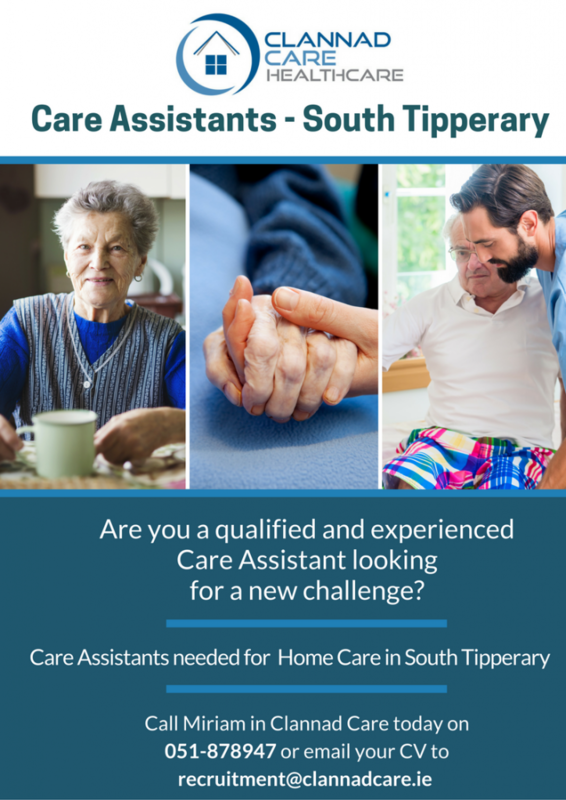 Clannad Care are now hiring additional Healthcare Assistants throughout South Tipperary to care for elderly people in their homes. If you are an experienced carer with a passion for caring for the elderly - apply online today! If you have the necessary qualifications and experience please email your CV to recruitment@clannadcare.ie or call 051-878947.